The perfect gift for your officiant!! 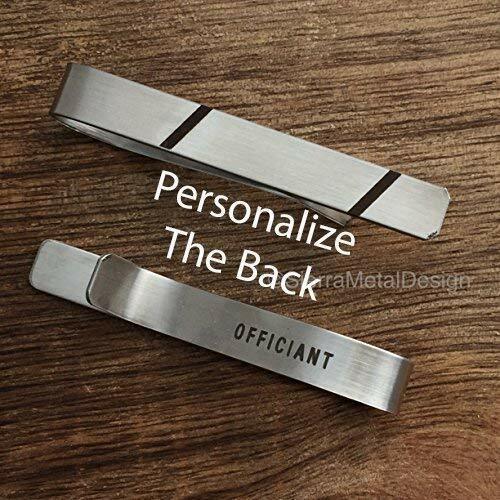 This tie clip has a modern design on the front and "Officiant" on the back. The Gold tie clip is gold plated on the top side of the tie clip only. The inside of the tie clip is Silver. Gift wrapped so that it is ready for giving. Personalization Option: You can upgrade to add a personalized message to the front of your item instead of the modern design. Limit is 30 characters including spaces. If you prefer to have more characters, please contact us for a custom item.